As I explained in The Purpose of the 2nd Amendment, we can learn the Founders’ intended purpose for the 2nd Amendment by reading the “Preamble to the Bill of Rights”. According to that Preamble, the purpose for the 2nd Amendment is not to empower Americans to hunt deer or ducks, or defend against an attack by Indians or even an invasion by Great Britain. We retain the right to “keep and bear arms” so that we can shoot officers, officials, judges, bureaucrats and employees of the federal government who “abuse or misconstrue” their powers under The Constitution of the United States. In other words, the 2nd Amendment is intended to guarantee that we have the necessary “equipment” to shoot those members of our own federal government who attempt to subject this nation to despotism (tyranny). 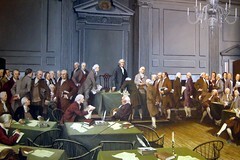 Is the “Declaration of Independence” a Treaty? I seem to deal with this problem every 6 to 12 months. Someone reads what we’ve come to call the “Declaration of Independence” and sees that its proper name is “The unanimous Declaration of the thirteen united States of America” and leaps to the conclusion the proper name for this country must be the “united States of America”. Back in the 1990s, when I first saw the proper name for our “Declaration of Independence,” I leaped to the very same conclusion. I thought, “Damn! The proper name for this country must be ‘united States of America’!!! No wonder we’re having so much trouble in court! We don’t even understand the proper name of our own country!!! But over time, I realized that my conclusion (the proper name for this country is the “united States of America”) was mistaken. That conclusion is a “rookie” mistake and I suppose that all of us who study our country’s political and legal foundation have already made it or are destined to make it at some point in the future. 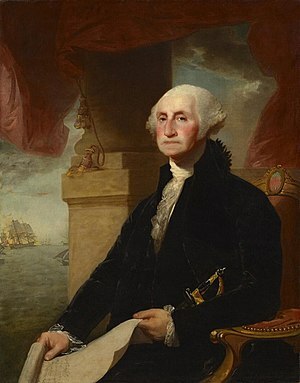 “I am surprised you did not pick up on or comment on the uncapitalized “u” in the word “united” in the original document and correctly reproduced in the early printings of the Declaration. Given that I’ve addressed this issue in the past on radio shows, or in my former magazine (“AntiShyster”), and probably on this blog, I was a little bit surprised that I felt “compelled” to write a reply. It seems to me that the Founders were incredibly casual with their use of the terms “United States” and “The United States of America”. They routinely used the term “the United States of America” (in the Preamble, for example) to almost certainly mean “The United States of America”. That allowed later generations of villains to define “United States of America” in a way that’s other than “The United States of America”. They left us an almost astonishing burden of ambiguity and confusion. In retrospect, their failure to precisely define what “United States” and “the United States of America” meant is equivalent to an Achilles Heel that opened the door to great treason in this country. They assumed the meanings of those terms were obvious and would remain obvious to their descendants. They were mistaken. There was a time when I and most other legal reform advocates assumed that all “corporate government” was bad. Over time, I came to see that–as much as despise and distrust corporations–corporate government is at least a necessity and, properly conceived, a possible benefit for the People. The fundamental question is not “Am I dealing with a governmental corporation?” but rather “Who owns–and therefore benefits from–the governmental corporation I’m dealing with? Am I presumed to be one of the beneficiaries of that corporation or merely one of its customers or even employees?” I.e., “Is the governmental corporation I’m dealing with a “public” corporation that is owned by all the People and therefore works for the best interests of the “public”/People–or is it a “privatized” corporation that’s owned by some private individuals and works for the best interests of those private individuals rather than for the best interests of the “People” in general? As I understand it, the word “constitution” signifies a document that originally creates, incorporates or “constitutes” some new entity. 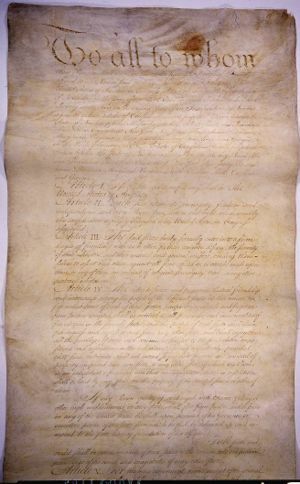 We say “The Constitution of the United States,” but the same text might just as easily have been entitled “The Charter of the United States” or “The Incorporation Papers of the United States”. As I understand it, the instrument entitled “The Constitution of the United States” is the document that “constituted” the entity named “United States”. Note that even though a document that performs the function of “constituting” or creating a new entity, that document need not be expressly named “The Constitution of [That Entity]”. It could have an name that never used the word “constitution” but still performed the function of “constituting” a new entity. We’re all familiar with the federal “Constitution”. There’s a problem with that document. The author’s never attached an explicit title at the top of that document and so there’s some confusion about its proper name. 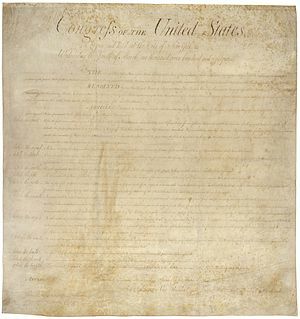 Some think that document is properly named “The Constitution of the United States”. Some say, “The Constitution of The United States of America.” Others say, “The Constitution for the United States of America”. Posted by Adask on October 17, 2011 in "The State" vs. "this state", States' Rights, Territory, U.S. vs The U.S.A.